One of my co-workers asked me to make a special Anniversary card for her daughter and husband. She didn’t tell me anything specific she wanted, only what their names were. The only thing she asked is that it be a ‘big’ card…. I always worried about making the larger cards because the envelopes were so hard to come by but now that I have the new We R Memory Keepers Envelop Punch Board it is so simple to make any size envelope! 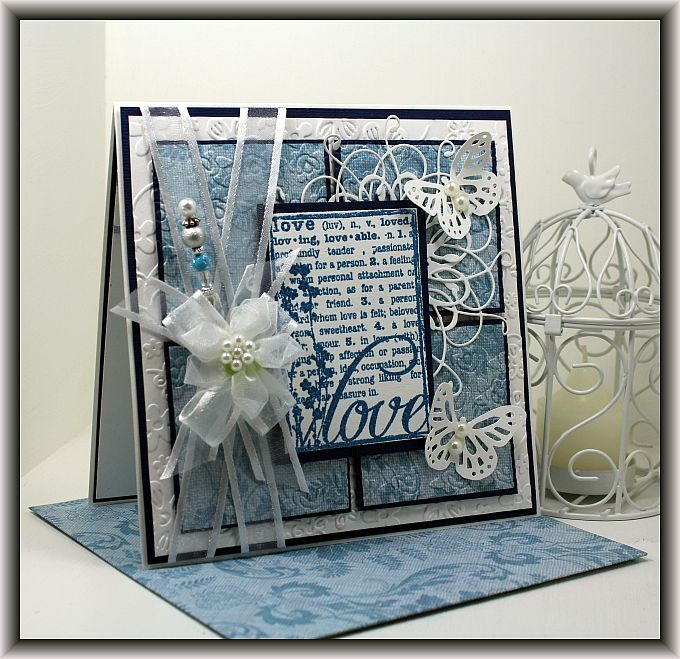 This card is 6″ x 6″ and I used the left over design paper to make the matching envelope. For the inside I used the Martha Stewart Antique Heart deep edge border punch to make the fancy design at the top. 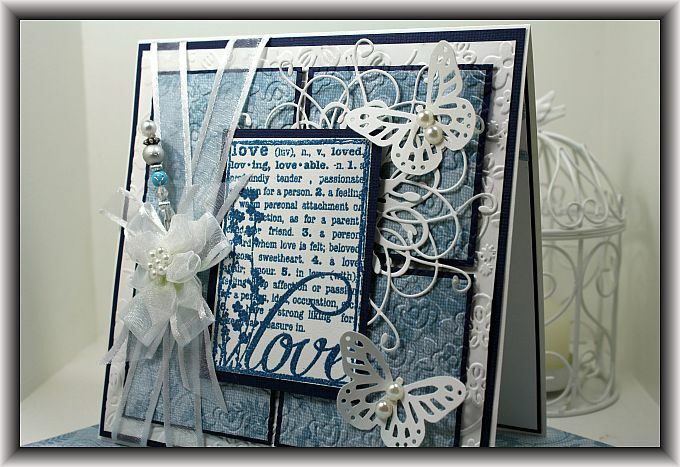 The stamp I used on the front of the card is by Hampton Art and it is called Love Defined, it is heat embossed using Pearl Luster Sapphire. Would you believe it took me 2.5 hours to make this card? These days it’s like pulling teeth! LOL!! I am off to work! I hope you have a great day and thanks for stopping by!